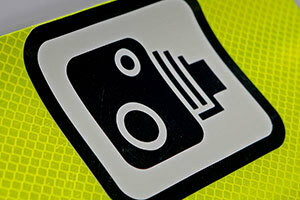 Speed awareness courses: not the bargain they seem? It’s the moment every driver dreads. Finding out you’ve been caught speeding means at the very least a fine, points on your licence, increased insurance premiums and about a month of driving around like an undertaker. Or does it? Providing you were breaking the speed limit by only a small margin, you could be offered a speed awareness course. So for a fee roughly equivalent to the cost of the fine, you can attend a half-day seminar on road safety. Celebrity lawyer Nick Freeman - dubbed ‘Mr Loophole’ by the press for his success in defending celebrities like David Beckham and Jimmy Carr from motoring convictions - has warned that motorists are being misled into believing speed awareness courses will not affect their insurance premiums. Freeman claims that everyone who attends the course is duty-bound to tell their insurers or risk having their insurance invalidated, in contrast to the advice given by those running the courses. In fact, a number of insurers, including Admiral, reckon they treat drivers who take such courses in exactly the same way as those who opt for a fine and points. Freeman said: “Drivers committing low-level speeding offences are given the option of either attending a speed awareness course or accepting a fine and penalty points. “Many choose the course as they believe it to be financially beneficial to them. “Only last week, those attending a course in North Yorkshire were specifically advised that they had no duty to inform their insurance company ‘because no one will find out’! “This is simply untrue and misleading. Whilst the completion of a speed awareness course is not categorised as a criminal offence, nevertheless the onus is on the driver to inform their insurance company. Of course, the one sure-fire way of not getting stung for speeding is not to speed. However, if you're unlucky enough to get caught, read our guide on how to deal with a speeding ticket.